1. No limits: speech should be as free as possible. The best counter for harmful speech is debate not censorship. 2. Censor it: We should be able to restrict or censor harmful voices or divisive figures from expressing views that aren’t consistent with our nation’s values. 3. Monitor it: Speech shouldn’t be censored but the government should be allowed to monitor closely what people are saying and intervene if they need to for security reasons. In the initial vote preceding the debate 86 voted for ‘monitor it’, 79 for ‘no limits’ and 20 for ‘censor it’. 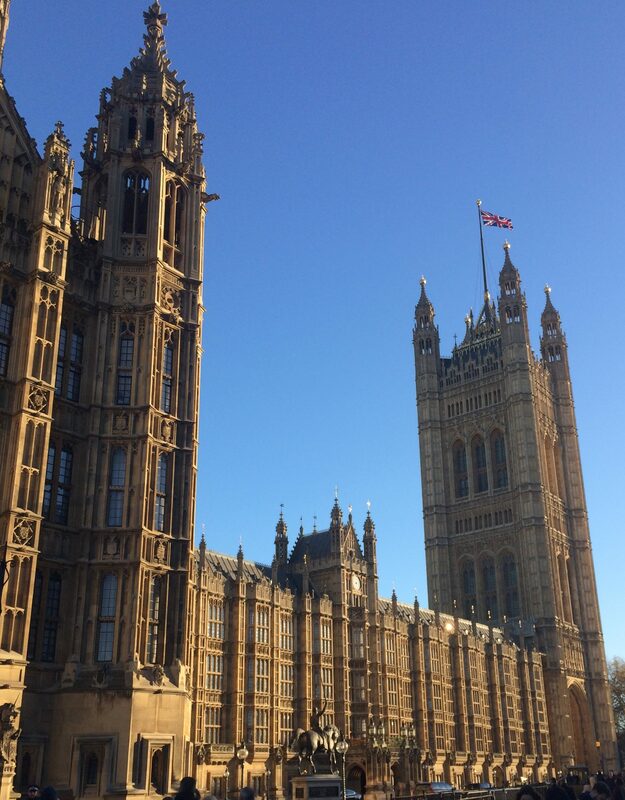 10 NewVIc students were in the chamber, 4 of whom spoke: Joelinne Wamba (15:45.10) was a principal speaker, Kier Sharp (16:13.40) gave a scheduled supporting speech and Agnes Thiongo (17:14.00) and Mojolajesu ‘JJ’ Bankole (immediately following Agnes at 17:15.25) were also called to speak in the open debate. All 4 made eloquent and well-considered contributions to the debate which was lively, constructive and respectful. A number of us were watching from the visitors’ gallery; proud of the confident, poised and articulate way our students made their cases. They were certainly not intimidated by the setting or the occasion. At a time when public discourse seems to resound with bombastic ‘post-truth’ claims and when marginal voices still have trouble getting through, it was refreshing to hear such a lively, well informed and respectful debate. Speaker after speaker extolled the benefits of freedom of speech. Many felt that there should be some constraints while sometimes expressing a reluctance to simply handing the constraining power to governments. Joelinne reminded us that: ‘Free speech is a human right, but the growth of hate speech needs to be guarded against’. 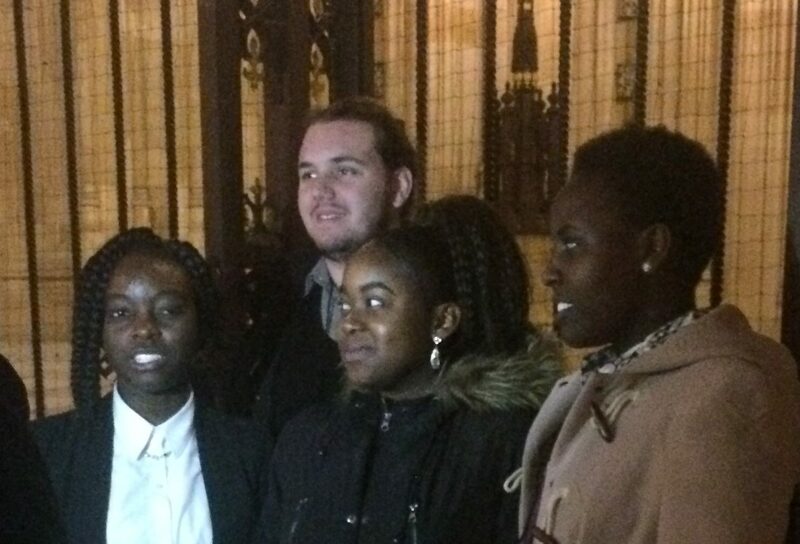 Agnes said: ‘silencing voices has consequences; when you stop people saying something, you don’t stop them from thinking it’ and ‘whenever freedom of speech has been embraced, change has taken place’ and she finished with a memorable soundbite: ‘we cannot have a diverse Britain without diverse voices’. Another speaker memorably said: ‘we need to run our country with an open mind and not a closed fist’. One key terrain of the debate was around how we define hate speech and acceptable offense. Keir warned that ‘not monitoring the internet would be as reckless as not having speed limits.’ JJ argued that: ‘free speech should be used responsibly’ and made the case for checks and balances while recognising that censorship can violate human rights. In her contribution, Vicky Seddon (17:18.40) from Speakers’ Corner Trust brilliantly summarized the central challenge: how do we balance the right of free speech with the right to be safe from abuse and harassment. As she pointed out, these rights can’t both be absolute at the same time. After a 2 hour debate, the final vote was taken and this showed a clear shift towards the ‘no limits’ case which won with 98 votes, followed by ‘monitor it’ with 75 votes and ‘censor it’ down to 16 votes. Lord Fowler commended the participants for their fine speeches, some of which he described as ‘exceptional’, as well as for their ability to stick to the time limits. This is one of many creative spoken and written word opportunities which have come from our unique partnership with English PEN and we are very grateful for their continuing support for this work. The whole experience of preparing for and contributing to such an activity was truly educational for those who took part and we will build on this with wider discussions of free speech back at college. This entry was posted in NewVIc, Politics, Students and tagged British values, censorship, Democracy, English PEN, freedom of speech, House of Lords, Human rights, Newham Sixth Form College, NewVIc, politics, student voice, young people. Bookmark the permalink.